Data and information to improve your conversions and content. Follow the numbers, they don’t lie. 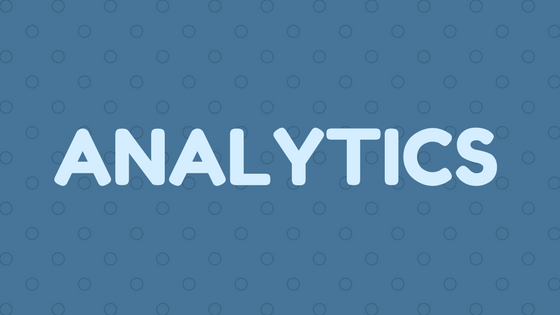 Analytics should be the lifeblood behind all of your decision making. These numbers provide detail that is needed to give reason behind your choices. Say you’ll change it because the numbers are telling you that is the next logical step. Analytics should be the lifeblood behind your decision making. Numbers provide detail that gives reason behind your choices. Don’t simply say, “I’m going to change this because I think it will work.” Say you’ll change it because the numbers are telling you that is the next logical step. Every successful business looks at the numbers, dissects the numbers, and makes decisions based on what they find in those numbers. Anything you do can be broken down the same way. Get your data points, understand why they are important and adjust with real data—don't make guesses by impulses or feelings. You must know your funnel. There is a reasoning behind why some people convert and why others don’t. The key is inside of your funnel. The first step is understanding what that funnel is. Do people call you from a number listed in the phone book and you point them to a form on your site? Do they visit a landing page, click a button, and see a phone number to call you at? Whatever your funnel is, you need to know it. There are some fantastic tools to help visualize your funnel and bring it to life because… Seeing is believing. I’m a big fan of both Draw.io and Whimsical. They’re slick, intuitive, and easy to use. It will paint a picture and outline the journey your leads can take as you look to convert them into customers. People enter your funnel somehow, someway. It’s important you understand the how and why behind this and if possible, control it. The more you understand reasons behind why people enter your funnel, the better you’ll optimize it with analytics when crunching numbers. An entry point is impacted down the line with every interaction that takes place beyond it. Afterall, your conversion rate is determined by how many people reach the desired result after they go through your entry point. What you want someone to achieve after their entry. Don’t think of this as an end-all either. It could even be the entry point for another funnel you have. Reaching a goal has significance and should be part of the points you use in your analytics. I am working on the content for this article. I’ll send out an update once it’s published.